It would be great if a personal sleep tracker could actually track down all your missing sleep and bring it back. Although that’s not exactly how they work (if only! ), they might provide a few clues as to how you can sleep better in the future. I regularly test new sleep trackers, and in this review I’ll be sharing my thoughts on the devices that have most impressed me. I’ll explain what kind of sleep data you’ll get, how accurate I found them, and what kind of helpful sleep coaching they provide. A couple of them are also activity trackers. And although I’ll touch on those features, the main focus will be on the sleep tracking aspect. Which type to choose: a wearable or non-wearable? 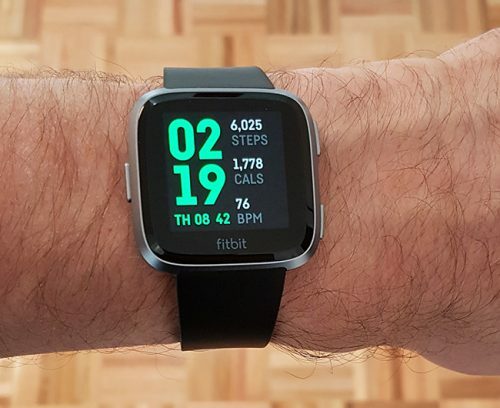 The Fitbit Versa is the most reliable of the many sleep trackers I’ve put to the test, and is currently my personal favorite. It’s mostly pretty accurate when it comes to the measurements I can verify myself. For example, it can tell if I’m lying in bed reading or sleeping, how often I wake up in the night, and what time I finally wake up. And when it comes to fitness tracking, it also seems impressively reliable. The step count is spot on, as is my pulse at different intensity levels of training, and automatic movement tracking. So the accuracy of the basic sleep data, heart rate, and movement provide some optimism that the sleep stage tracking is a decent enough estimate. The Fitbit App is excellent, presenting each of your sleep stages in a clear and detailed graph. And I really like how it compares the time you spend in sleep stages to your demographic. It’s helpful information that either provides reassurance or might offer a clue that something isn’t quite right. And I also like that you can set reminders to stick to a sleep schedule and to stay active every hour of the day. These are things that might actually help improve your sleep. As an activity tracker, it’s a useful companion in the gym. It’s great to have your pulse, calories burned and timer on your wrist, and on-screen workouts if you desire. You can also take it for a swim as it’s water resistant up to 50 meters. You can store up to 300 songs for Bluetooth listening, use it for contactless payment, receive notifications, and explore a growing number of Apps. And that leads me to the final point – the overall look, screen and battery life. The Versa looks great, feels light, has a beautiful bright and sharp screen, with an excellent 4 day battery life. Automatic and reasonably accurate sleep tracking. The App shows a breakdown of 4 sleep stages: awake, light, deep and REM. With time spent in each stage, wakings and total sleep time. Benchmarking against your own 30 day average sleep, and also people your age and gender. Can set a target for total sleep and sleep schedule, with vibrating reminders to improve your sleep pattern. Sleep insights to help improve your sleep. 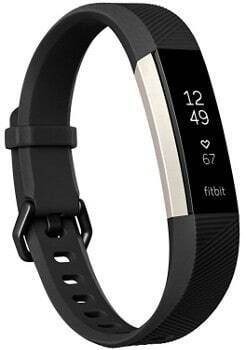 Excellent fitness tracking, with on-screen pulse, calories burned and specific exercise tracking. Monitors resting heart rate, heart rate trends over time, and cardio fitness. Beautiful gorilla glass touchscreen, with brightness up to 1000 nits. Many different clock and display options to choose from. Great 4 day battery life. Occasional slow syncing which requires some patience. As with all sleep trackers, it’s hard to say how accurate the sleep stage tracking really is. No inbuilt GPS like the Ionic, if you use it for distance sports. The Versa’s sleep tracking is accurate for the points I can easily confirm myself. The heart rate and movement tracking is reliable, and it has an excellent battery life. The Fitbit App provides an interesting breakdown of your sleep stages. And there are several useful features that can help improve your sleep, like reminders to keep to a stable sleep routine, and encouragement to stay active during the day. If you’re into fitness, sleep tracking, and like the idea of a smartwatch with a growing number of Apps and features, this is an excellent choice of wearable sleep tracker. If you’d prefer not to wear anything on your wrist in bed though, take a look at the Beautyrest below. The Beautyrest is a non-wearable sleep tracker that consists of a measuring pad that sits under any mattress. You then have a small data processor connected, and a smartphone App where you’ll receive the sleep data. It’s easy enough to set up, with videos on the App that walk you through the process. After that, you can leave it switched on and it will track your sleep automatically when you get into bed. It was designed to be useful to the average person with an interest in their sleep. And to provide helpful interpretations of the sleep data, along with advice for improving your sleep. So it doesn’t leave you scratching your head and wondering what the graphs actually mean. I recently tested the Beautyrest alongside the Emfit, Fitbit and my manual sleep diary. And I found it was consistently accurate for the measurements I can confirm, such as when I fell asleep and woke up, and the exact time of wakings in the night. Easy setup and nothing to wear in bed. Automatic sleep tracking – you can leave it switched on permanently or turn it on at night. 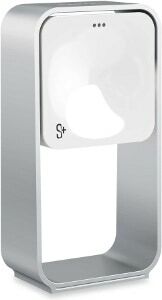 Measures 4 sleep stages – awake, light, deep and REM. Tracks heart rate and breathing rate. Gives a total sleep score, based on how much sleep you say you need. Asks you lifestyle questions, like stress and activity, and then tells you how these are impacting your sleep. Easy to use smartphone App with useful graphs and pretty visual results. Daily sleep coaching advice based on your results, not just generic tips. As with all trackers, you can’t be sure if the sleep stages are truly accurate. You need to keep it connected to your home Wifi. Small annual subscription for more detailed interpretation of the data. I didn’t use this though, as the initial data is more than enough. What particularly impressed me was that the Beautyrest didn’t mistake relaxing in bed as being asleep. During a week-long careful test, it only made one small error with this in the morning. And compared to most trackers, that’s a good result. It was also good at spotting my significant wakings in the night, getting them almost spot on every time. So all that gives me hope that the sleep stage data, while still an estimate of course, is an estimate that might be in the right ballpark at least. But regardless of the sleep stage data, the Beautyrest excels in one department – the sleep coaching. Unlike many devices, including Fitbit, that are either skimpy on the coaching or too generic, this one bases its advice on your results. And the more information you give it, the better the coaching. So if you answer the daily lifestyle questionnaire, you’ll get helpful advice like how much worse you sleep after no exercise or a stressful day. And with the addition of a second measuring pad for a bed partner, it’s currently the sleep tracker that I’d recommend for most people. Made by the Finnish company EMFIT, the QS was originally intended to be used by athletes. But anyone with a keen interest in their sleep and health might benefit from the extra details it provides. Like the Beautyrest, the Emfit works without any contact with your body. A measuring strip goes under your side of the mattress (not the bed sheet) and takes readings using ballistocardiography, with a sensitive compression sensor. You get a staggering amount of data, including the standard sleep tracker measurements such as heart rate, breathing rate, restlessness in bed, time spent in light, deep and REM sleep. It then goes several steps further than standard sleep trackers. It provides measurements that athletes will find useful, such as whole night heart rate variability (HRV), total recovery and recovery efficiency. Measures all the usual sleep points, including sleep stages, along with heart and breathing rate. Huge amount of data, which is potentially helpful for sports people in particular. The data is neatly presented in a series of graphs on the Emfit website, which you can log into on your computer, tablet or phone. 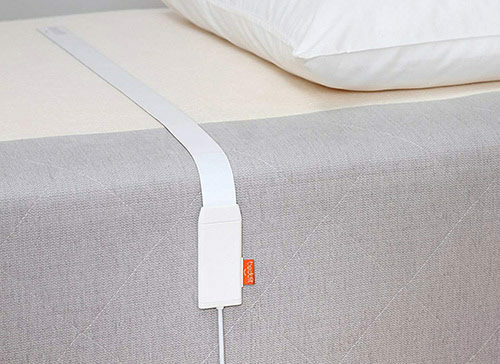 Measuring strip sits under your mattress, so you have 100% contactless sleep monitoring. No manual interaction needed. Just set it and go, and check the data in the morning. If you sleep with a partner, they can affect the results if they roll over your measuring strip. The data is very complex, and it’s a steep learning curve working out what it all means. No sleep coaching at all. So you need to be proactive in working out what the data means for you personally. When I tested the Emfit QS alongside other trackers, I found it was good at picking up some of the basics, like time asleep and wakings in the night. However, it struggled to differentiate between relaxing in bed and sleeping. Admittedly, this is an issue that many devices face, and it’s often a case of accepting an estimation rather than perfection. But I couldn’t help be disappointed by some of the major mistakes – showing some REM and deep sleep when I was actually reading a book quietly. And that makes me question the reliability of all the other results, which at first glance look amazing. I was very impressed by the visual representation of the data in multiple graphs, if a little overwhelmed. From sleep stages to respiration and heart rate variability, it appears to do it all. But with no sleep coaching, you’re left to sift through the data and graphs and try to work out what it means. And that’s no easy task. My feeling is that this isn’t the right tracker for the average home user who just wants clear information about their sleep patterns and a friendly nudge in the right direction to improve their sleep. But if you’re a sports person, or intrigued to find out more about what goes on in your sleep than the average tracker will tell you, perhaps you’ll enjoy all that data. The Withings sleep tracker has had an interesting evolution. Withings originally produced the Aura, on the back of which the technology was bought by Nokia, who rebranded with this newer device. But they then sold it back to Withings – hence the confusion around the exact name. Like the Beautyrest and Emfit, the tracking device is a contactless mat which you place under your mattress. You’ll then receive your sleep data on your smartphone – there’s currently no desktop version. They appear to have a particular focus on improving your sleep schedule. Soon after registering, the Health Mate App asked me if I wanted to join a social jet lag program, to improve my sleep routine consistency 7 days a week. It also has the interesting option to integrate with smart home devices via IFTTT. So you can turn the lights on and off or adjust the thermostat automatically when you get into bed, for example. As far as sleep tracking itself is concerned, it attempts to track sleep stages and give you detailed graphs in the morning on the App. However, like so many devices, I found that the more time I spent in bed reading, the harder it became for the Withings to tell if I was awake or asleep. I had high expectations from a sleep tracker that was developed in partnership with Nokia. The features it offers sounded promising, and I was hoping the accuracy would be an improvement on similar under mattress trackers. After using it for 2 weeks and comparing the data with my own notes, however, there were more inaccuracies than I was hoping for. All trackers have a hard time distinguishing between sleep and quiet relaxation time, and the Withings seemed to really struggle with this as much as the Emfit QS. It was pretty good on the nights when I tried to sleep straight away, and when I got up as soon as I woke. But for more complicated nights, with multiple wakings, the accuracy was questionable. Where it did impress me was with some of the sleep coaching App functions. I liked the social jet lag program, and think that’s a genuinely useful feature. I also liked the clean interface, even if the graphs are a little fiddly to dissect. One final positive is that I apparently only snored once in the last 2 weeks, which is likely to be accurate from what I already know about my silent sleeping. So I’m sure people with a serious snoring problem will be interested in this feature. The ResMed S+ sits on your bedside table and monitors your sleep and bedroom environment from a distance. Where it shines is in gathering a wealth of information about what you did during the day, bedroom environment and sleep, and then combining all the data to give you personalised sleep tips. When it came to measuring sleep, I found the S+ to be reasonably accurate for some of the basic sleep measurements. The amount of data it provides is fascinating, with sleep graphs full of useful information. It’s difficult to confirm the amount of time you spend in different sleep stages. But the nights when I felt I slept badly, and woke up feeling less refreshed, seemed to be reflected in less deep or REM sleep. Detailed tracking of light, deep and REM sleep stages and wakings. Compares your sleep score against the average for your age and gender. Measures light, noise and temperature in the bedroom. A nightly questionnaire about factors like alcohol, caffeine, activity and stress levels helps correlate your daily behavior with your sleep. Encourages you to leave a text or voice memo to clear your mind and relax before sleeping. Synchronizes with your breathing to play relaxing sounds through your phone. Smart alarm wakes you gently during a light stage of sleep. Provides personalized sleep coaching advice based on your sleep pattern, bedroom environment and lifestyle. Detailed results and sleep graphs on a very clear App, with even more on the website. You need to tell it when you’re physically in bed and about to try to sleep. Uses a lot of mobile phone battery, but does have a USB port to charge during the night. Needs to be paired with your phone throughout the night. You have to use your phone to control it. 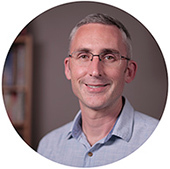 What I liked about the S+ is the fact that it takes a holistic approach to sleep coaching. Over time, it uses the questionnaire answers, environmental factors, and your sleep data to make practical suggestions for improving your sleep. So you’re not just left with ambiguous sleep scores and confusing graphs, but told exactly how you can make lifestyle changes to sleep better. But like so many sleep trackers, especially those that seem to work by the magic of sonar, the results can be questionable. I didn’t find it always knew when I was sleeping or reading. And that makes me unsure that I can trust the more complex data. Having said that, I do like that it takes into account environmental factors. So perhaps if you’re worried about how the world around you is impacting on your sleep, it might be worth trying. It tracks a wide range of interesting sleep information, with some useful additions to this latest version 3, such as snoring, bedroom temperature and humidity. It also monitors heart and respiration rate, which could be useful if you’re worried about your health, or suspect you have a sleep disorder such as apnea. You can’t use it to self-diagnose, of course. But the results could be worth presenting to your doctor for discussion. The accuracy is reasonably good, especially if you sleep alone. Lots of different tracking data: your heart rate, breathing and snoring, time asleep or restless and times out of bed, bedroom humidity and temperature. Thin measuring strip which you don’t feel when placed under a sheet or mattress protector. Automatically senses when you go to bed and try to sleep. Smart alarm system wakes you up at the best point in your sleep cycle. Good App with a wide range of sleep data to inspect. Provides an overall sleep score and tips to help you improve your sleep. The measuring strip has to be plugged into the mains during the night to work. If you sleep with a partner they can disturb your results. Equally, if you roll away from the strip to the other side of a wide bed, it might affect the results. The Beddit sleep monitor provides lots of fascinating data about your sleep, and the accuracy overall is quite good. However, if you sleep with a partner, there’s a possibility they might affect the tracking if they move onto your measuring strip in the night. Overall, I think if you sleep alone, the Beddit is a good way to get a deeper insight into your sleep and health. If you share your bed though, I’d recommend using a wearable device instead. In 2017, Beddit was purchased by Apple. So it will be interesting to see how much they invest in the future of the technology. For now, I don’t know of any major changed that have been implemented. 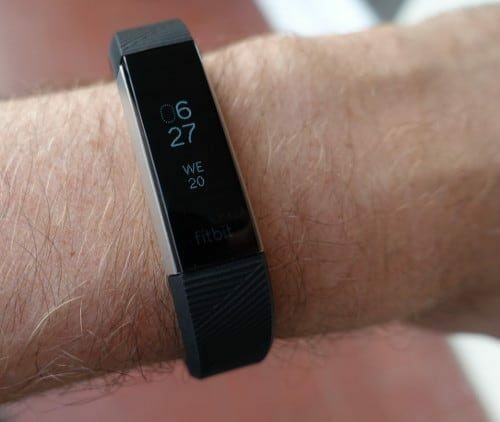 In many ways, the Fitbit Alta HR looks and feels like a downsized version of the Charge 2. The main benefit to the thinner, sleeker and unobtrusive design is that you don’t notice it so much when you’re in bed. That slender design does have a downside though – less Apps, features and activity tracking. But not having those options does result in one impressive benefit – a huge battery life of up to 7 days. 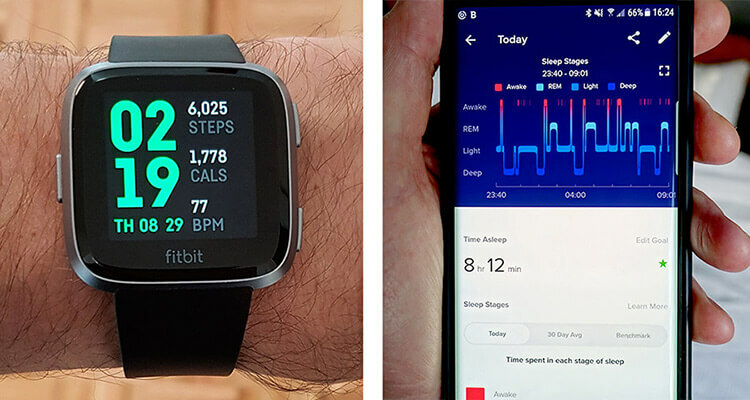 I wore the Alta HR for a month to test Fitbit’s new sleep tracking software and algorithm and was generally very impressed by its accuracy. Compared to many trackers, there were only a couple of occasions when it mistook resting in bed for sleep. And it was very reliable when it came to recording the times I got up in the night. I’m also a fan of the new sleep breakdown on the App. As with the Versa, it’s great to have such a detailed breakdown of your sleep and benchmarking with your age. And I really like the vibrating reminders to stay active each hour of the day and to help me stick to my target bedtime. I personally choose a 30 minute wind-down period, which I’ll often ignore if I’m watching a movie. But the little vibration does remind me that it’s the time for bed I’ve chosen myself. And since having a regular sleep routine is one of the fundamental keys to good sleep, this is the kind of thing that can really make a difference. Automatic and accurate sleep tracking. Measures total sleep time, time spent awake, in light, deep and REM sleep stages. Vibrating alerts to stick to your selected sleep schedule. Vibrating reminders to get up and move if sitting or inactive for long periods. Like the Charge 2, the excellent App shows your sleep in a detailed breakdown, with benchmarks for your age and gender. You can select call, text and calendar alerts on the device. Customizable display, such as clock, heart rate and steps. Interchangeable straps to further customize the look. It sometimes struggles with heart rate monitoring during heavy exercise. The touch screen is low on features. No built-in GPS, so you have to sync with your phone to track and records routes. It’s not waterproof, though is resistant to sweat and light rain. If you’re a fan of wearables with beautiful screens, and a vast range of features, you might find it difficult to downsize to the Alta HR. I also don’t think it’s the most accurate when it comes to intense exercise, which isn’t ideal if fitness tracking is important to you. But if you don’t regularly do intense exercise, and it’s the sleep tracking that most interests you, there’s a lot to like about the Alta HR. Especially if you want a subtle wearable that looks great on the wrist and feels comfortable to wear in bed at night. A concern people sometimes have with sleep trackers is that they might confuse a lack of movement in bed with being asleep. The good news is that an increasing number of devices use your heart rate to help judge when you’re asleep. And I find they are much more accurate than budget trackers that rely on movement alone. When it comes to detailed sleep stage tracking, the truth is that it’s hard to judge how precise any of them are. And even if they are accurate, there isn’t much guidance as to what you should do with all that data anyway. So my point of view is that although sleep stage reports are fascinating, I try not to get caught up in unraveling the mysteries of the data. And if I don’t appear to get a lot of deep sleep one night, I don’t panic about it and ‘try to sleep better’ the next night. A more useful point is that many sleep trackers have features that are actually helpful, such as sleep coaching and reminders to stick to a good sleep routine. And at the end of the day, those can make a real difference to your sleep. 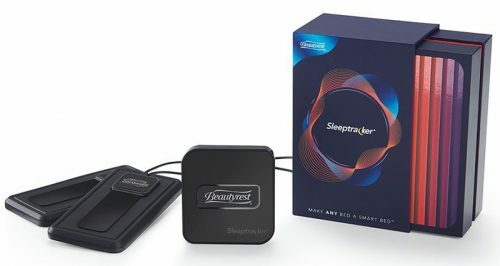 If you’d like to know more about the accuracy, you might find it helpful to read my article about how sleep trackers work. 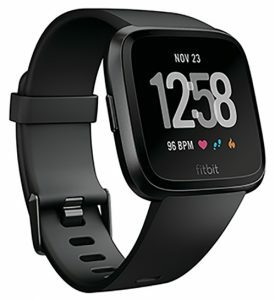 And if you’re interested in a side by side comparison, I used the Fitbit Versa, Beautyrest, Emfit QS and a manual sleep diary simultaneously and wrote a very detailed report of the sleep tracking accuracy. The most obvious difference lies in whether you want to wear a sleep tracker on your wrist, or have it tucked away under your mattress or on a bedside table. Using a wearable makes sense to me personally because I like sports, so it kills two birds with one stone. But in my experience, there doesn’t seem to be a clear winner where the accuracy of their sleep tracking is concerned. Both wearables and non-wearables can make similar mistakes, such as mistaking relaxing for sleeping. And the best ones I’ve found are fairly similar in terms of what they get right, like total sleep time and bed exits. You can find both wearables and non-wearables that provide a breakdown of your sleep stages and heart rate throughout the night (as I said before, take this with a pinch of salt). Where non-wearables shine is in the amount of data they give you. The Beautyrest and Emfit, for example, provide a lot of sleep tracking data – more than Fitbits or any other smartwatch I’ve tried. Whether that’s a good thing or not is up for debate though. It’s not always clear how useful all the data is, how you can apply it to your sleep, and it can be time-consuming to sift through. So in some ways, a simple report on a mobile phone App is arguably more user-friendly. You can combine activity and sleep tracking, some with coaching telling you how you slept after a more active or lazy day. Can provide vibrating sleep schedule reminders and alarms in the morning. Other smartwatch Apps, like music and contactless payment, with some devices. Can be annoying to wear in bed. Needs frequent charging, with a risk of it dying in the night and not providing any data. Often just a one-time setup and will automatically track sleep when you get into bed. Perhaps better if you’re not interested in activity tracking at all. No device to wear on your wrist in bed. Sleeping with a partner risks affecting the data, especially with the less advanced trackers. High-end non-wearables are more affordable than high-end smartwatches.